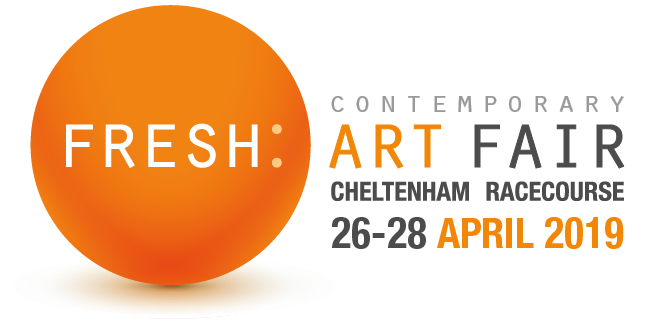 Lighthouse is delighted to be showcasing a selection of paintings, sculpture and raku ceramics at this new Fresh Art Fair. Contact the gallery for complimentary tickets, see you there! Mixed exhibition of new paintings by our Gallery favourites including gorgeous new ceramics and jewellery inspired by the season. The ninth Affordable Art Fair to be held in Hampstead, North London and once again we visit the Heath. This year it’s the 9th – 12th May – make sure to pop the dates in your diaries, don’t miss it! 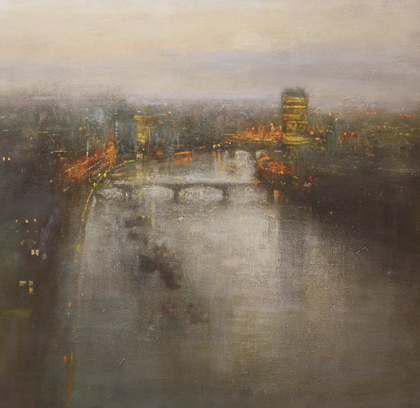 We will be showing atmospheric new paintings by Benjamin Warner depicting the city and The Thames alongside Mark Poprawski's dramatic seascapes, plus new paintings by Chris Rigby, Michael Sanders, Rachael Mia Allen and Amanda Hoskin. Amazing bronze sculpture by Shelly Anderson and Alex Kirkpatrick. With thousands of artworks by hundreds of artists priced £100 - £6,000, anyone can be an art collector, whatever the budget, come and enjoy! For tickets please contact the Gallery 01736 350555 or email post@lighthouse-gallery.com, we will of course post and email tickets to our mailing list. 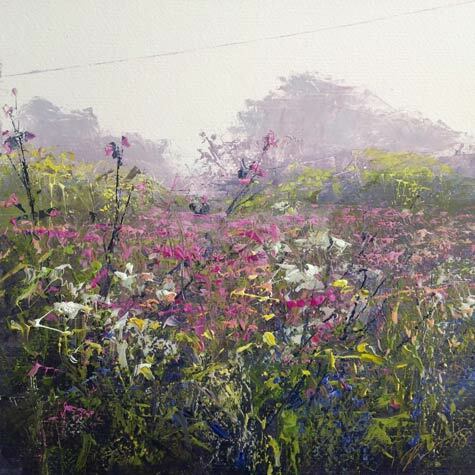 Cornish light and soft colours, passing boats and flowers as well as working harbours. Gemma loves nothing more than getting lost in a beautiful view through a window. 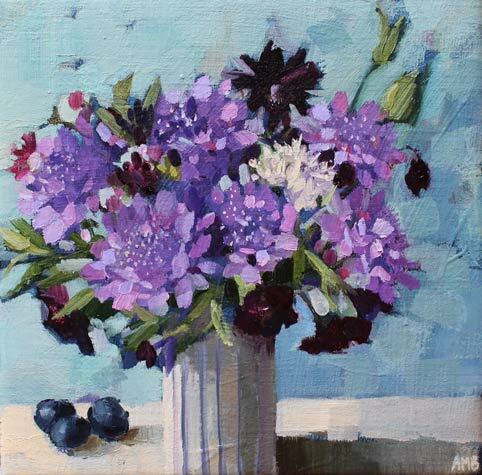 Her still life paintings feature a limited palette of colour allowing her to capture the subtle moods of any chosen subject. 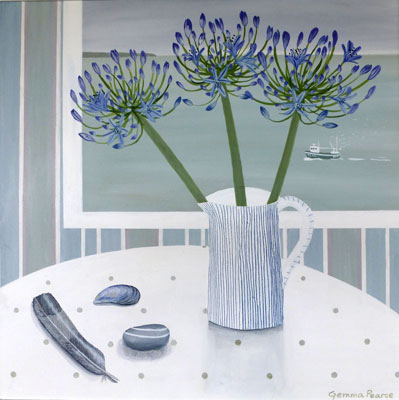 Growing up in Cornwall has fuelled Rachael’s inspiration & her passion for the Cornish landscape and that is evident in her paintings, which are rich with natural light, textures & colours. A strong connection with her surroundings enables her to bring the canvas alive with her talent and skill. 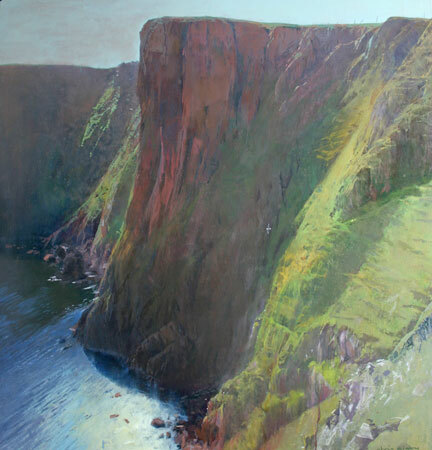 Setting his easel up on the clifftops of West Cornwall, Mark can often be seen in all weathers painting, working quickly to capture the fleeting light and passing clouds. The crashing waves below and the contrast of wild Spring flowers bent in the sea breeze often feature in Marks work. The texture of the paint brings an almost three dimensional feel to the canvas transporting the onlooker to the very place itself. Launched in 1999, now in its 20th year the Battersea Affordable Art Fair just gets better and better. Now up to 22,500 people come to enjoy the art exhibited by the 120 British and international galleries. In an atmosphere of fun and with a very unstuffy approach Lighthouse Gallery is thrilled once again to be exciting and delighting its London collectors and meeting new faces! With work priced between £50 and £6,000 there is something for everyone to discover and take home! 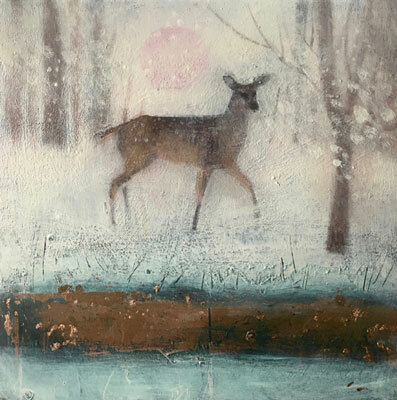 We are delighted to be showing stunning new paintings by the acclaimed Chris Rigby alongside atmospheric new London works by Benjamin Warner and Mark Poprawski‘s dramatic seascapes and magical paintings by Catherine Hyde, plus new paintings by Rachael Mia Allen, Amanda Hoskin, Gary Long and Michael Sanders. Sculpture by Shelley Anderson and Alex Kirkpatrick. Catherine is able to create an abstracted world, emphasising the connection between earth, air and water. Building subtle layers of paint to achieve shimmering, delicate and glowing surfaces on canvas thus creating powerful imagery. Her works contain a strange atmosphere of stillness with an iconic quality that is dreamlike and magical. They are expressions of significance and contemplation, landscapes that resound with the profound connection between all living things.